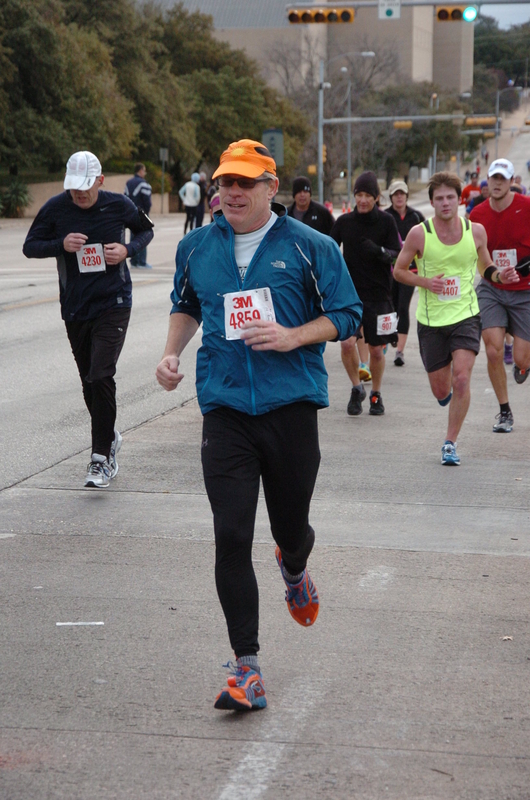 I’m running in this pic down MLK Blvd which separates the UT campus from the Texas Capitol complex. I beat all of those 20 year old kids you see behind me, except for Bradley Stocky – the 47 year old man dressed in black in the left of this picture. I beat his clock time by 5 seconds, but he beat my chip time by 2 seconds; which is to say he crossed the starting line 7 seconds behind me. I ran the first half about a minute faster but he must have had me in his sights the last few miles. He certainly kicked it in stronger than I did running that final quarter mile down MLK to the finish. I did let up a little bit the last hundred yards because I don’t like to finish too out of breath. This race was a week ago but I’m posting the picture in recognition of MLK day. Nice job Ed! What was the distance? Thanks Alan. 13.1 miles. 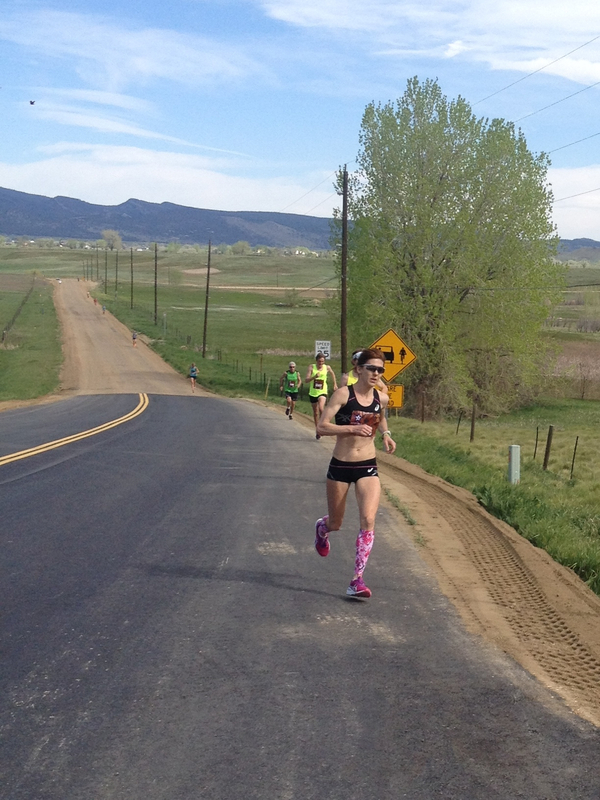 It’s hard to maintain the requisite conditioning for a full marathon over the winter. But I think I’m generally in good enough shape to run a half marathon any time of year.